Flights to the United Kingdom from Dubai, United Arab Emirates can be difficult for Cabin Crew. These flights are usually overbooked and busy, so we end up running up and down the cabin from take-off to touch down. 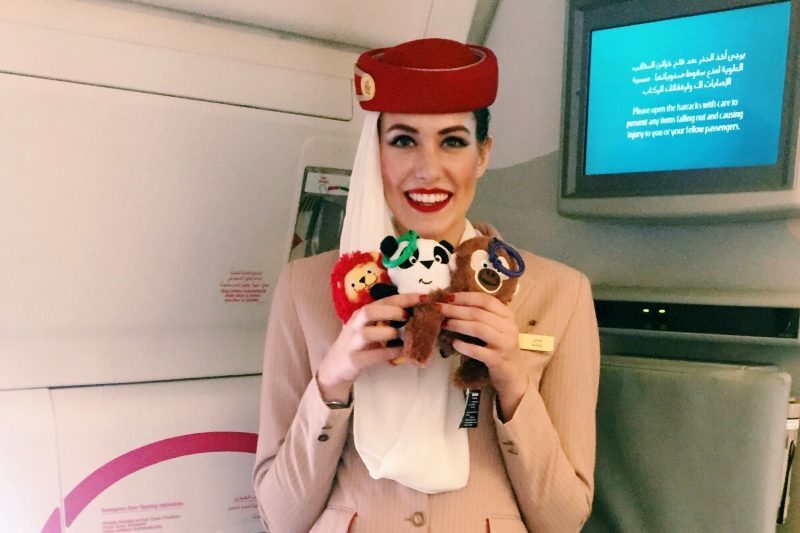 When I joined Emirates, my Nujoum promise (service goal within the company) was to make each of my flights special for at least one of our customers, and on my recent flight to LGW I met a lovely girl who we just had to go the extra mile for! I’ll refer to her as Emelia for this story. My colleague and I were walking around the cabin taking polaroid pictures of some of our young flyers when we met. I always carry a children’s cabin crew and captain’s hat in my cabin bag as well as some stickers and colouring pages, and happened to have these items on board with me when she introduced herself. Emelia saw the Captain’s hat in my hand and mentioned to us that she was a cadet. She also shared with us that she got to fly her first airplane for her 14th birthday, which had just passed a few days before. I was a cadet myself for a short period of time when I was younger, so I knew that we had to do something special for her. There aren’t a lot of female pilots. In fact, only 3% of commercial airline pilots worldwide are female and only 450 of them have achieved the rank of Captain. Hearing about how much she enjoyed flying made me want to keep her inspired. After our encounter, I went to the flight deck to speak to our flight crew and arranged to have them meet Emelia on ground when the plane had landed and all of our customers had disembarked. This gave her the chance to ask them any questions that she had about the job as well as to give her a small glimpse of her potential future office. 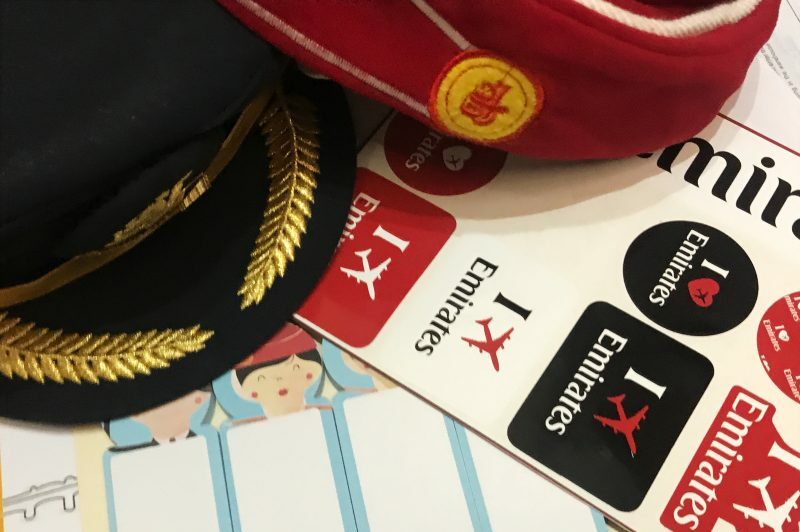 As a keepsake, we presented her with some Emirates stickers and a card signed by the Captain, First Officer and some of the Cabin Crew with some words of encouragement. “That was the best flight ever!” she said as she left the aircraft with a huge smile on her face. Yes the jet lag can be horrible, flights can be busy and layovers could always be longer…but this is one of the reasons why I love what I get to do everyday. It doesn’t take much to make someones day. Please keep that in mind, wherever you go! That’s a beautiful story. Talk about making such a huge & lasting impression on this youth’s life. I’m certain she’ll never forget it. You’re very kind. Thank you for sharing!